Today I’m delighted to share a Q&A I did with Chris Ewan recently to coincide with the release of The Good Thief’s Guide books. Here’s the all-important bookish information for you guys to have a look! Chris Ewan is the author of the popular GOOD THIEF’S GUIDE TO … series of mysteries about globetrotting crime writer and thief-for-hire, Charlie Howard. The series has been praised as “crime writing at its best” (Sydney Morning Herald) and a “delightful series” (The Seattle Times) and comprises THE GOOD THIEF’S GUIDE TO AMSTERDAM (winner of the Long Barn Books First Novel Award), THE GOOD THIEF’S GUIDE TO PARIS, THE GOOD THIEF’S GUIDE TO VEGAS, THE GOOD THIEF’S GUIDE TO VENICE and THE GOOD THIEF’S GUIDE TO BERLIN. Chris’s critically acclaimed standalone thrillers include the major bestseller SAFE HOUSE (which has sold more than 500,000 copies in the UK and was shortlisted for the Theakstons Old Peculier Crime Novel of the Year Award), DEAD LINE (which is optioned for film), DARK TIDES (an Observer “Thriller of the Month”) and LONG TIME LOST (a “masterful thriller” The Independent). He is also the author of the Kindle Single story SCARLETT POINT which, like many of Chris’s thrillers, is set on the Isle of Man. 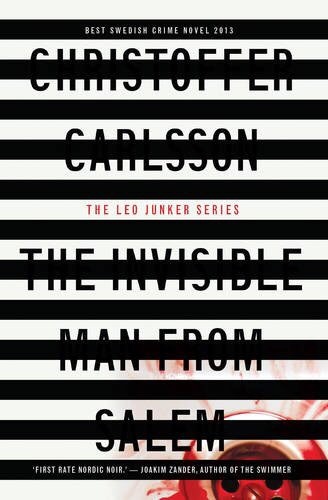 In 2011, Chris was voted one of America’s favourite British authors by a Huffington Post poll and in 2017 he was longlisted for the CWA Dagger in the Library. Born in Taunton in 1976, Chris graduated from the University of Nottingham with a degree in American Studies with a minor in Canadian Literature, and later trained as a lawyer. After an eleven-year spell living on the Isle of Man, he now lives in Somerset, England with his wife, children and labrador, where he writes full time. Chris loves to hear from his readers and always responds to every email he receives. You can find out more at http://www.chrisewan.com, where you can also sign up to Chris’s newsletter to receive advance information about new books, enter competitions and giveaways and be sent a FREE Good Thief’s Guide short story. Meet Charlie Howard. He doesn’t just write books about a career thief, he also happens to be one. In Amsterdam working on his latest novel, Charlie Howard is approached by a mysterious American who asks him to steal two apparently worthless monkey figurines from two separate addresses on the same night. At first he says no. Then he changes his mind. Only later, kidnapped and bound to a chair, the American very dead and a spell in police custody behind him, does Charlie begin to realise how costly a mistake he might have made. Charlie is flush with the success of his Paris book reading when he agrees to show a complete novice how to break into an apartment. The next day, Charlie’s fence hires him to steal an ordinary-looking oil painting – from the same address. Mere coincidence? Charlie figures there’s no harm in finding out – until a dead body turns up in his living room. Charlie is in for a tough vacation in Las Vegas. Losing heavily at poker is one thing, but to find his literary agent, Victoria, being charmed by the Fifty-Fifty casino resort’s star magician, Josh Masters, is another irritation entirely. Still, Charlie’s not one to hold a grudge, least of all when he could be holding Masters’ wallet. With access to the magician’s deluxe suite now tantalizingly at hand, a spot of burglary seems to be in order and Charlie’s only too happy to oblige. Problem is, everything’s bigger in Sin City – including the fall-out from petty crimes. Charlie has gone straight. But holing himself up in a crumbling palazzo in Venice in an attempt to concentrate on his next novel hasn’t got rid of the itch in his fingers. And to make matters worse, a striking Italian beauty has just broken into his apartment and made off with his most prized possession, leaving a puzzling calling card in its place. Sneaking out into Venice’s maze of murky canals, Charlie’s attempts to tame a cat burglar embroil him in a plot that is far bigger and more explosive than he could ever have imagined. Charlie is back in the saddle, robbing the people of Berlin blind. But his larcenous binge is about to be interrupted by a call to duty – on behalf of Her Majesty’s Government. A sensitive item has been stolen from inside the British embassy in Berlin. Four employees are suspected of the theft and Charlie is hired to discreetly break into each of their homes, identify the guilty culprit and steal the item back. There’s just one problem: the item is so sensitive that Charlie can’t be told what it is. But how do you find something when you don’t know what you’re searching for? And what do you do if you witness a murder during your first break in? *The books are currently available in a box set, which you can see here, or you can pop over to Chris’s Amazon Page to see them individually. * The Good Thief’s Guide to Amsterdam (book 1) is currently only 99p, click here to check out the book! Sure. I’m the author of nine crime and thriller novels. My Good Thief’s Guide To … series of mystery novels about globetrotting crime writer and burglar-for-hire Charlie Howard have been published in thirteen countries and optioned for television three times. My first standalone thriller, Safe House, was set on the Isle of Man where I lived for 11 years. To date, it’s sold more than 500,000 copies in the UK and was shortlisted for the Old Peculier Crime Novel of the Year Award. My other standalone thrillers include Dead Line, Dark Tides and Long Time Lost. Nowadays I write full-time and live in Somerset with my wife and two kids where I’m hard at work at my next book. I always loved writing and reading but I had no idea how to go about becoming a writer or if it was even possible to get published. That only changed when I read Jack Kerouac’s On The Road at university and decided to have a go at writing my first novel. It only took me ten years and three more books to get my break! Everywhere, really. Stories in the news, things I read about or see on TV, rumours I’ve heard or myths I’m aware of. Usually I start out by deciding broadly what kind of story I’d like to tell and then I try to think of a fresh and inventive way of telling it. I always find that a hard question to answer but I guess I’d hope that readers would find my books to be punchy and fast paced, filled with twists and reveals and stuffed with colourful characters. I’d like to think there’s some sly humour in there, too. It definitely can’t hurt but the main benefit to me is interacting with other people who happen to be real (rather than the imaginary characters in my head). That said, I think the most important thing any writer can do is concentrate on their writing and the stories they want to tell. Tragically, it’s the writing itself – when it’s going well. There’s nothing better. I really don’t have any complaints. There are always more things I’d like to write – the only problem, really, is finding the time to get to everything. If the past ten years have taught me anything, it’s that the future of any writing career is impossible to predict. I’d like to think I’ll be publishing more books and more readers will want to read them. I hope so, anyway. I am just now finishing a new book that will be off on submission before long. After that … another book! And possibly this time it will be a new Good Thief’s Guide mystery. I really want to move the Good Thief on to a new city and a new adventure. I read as much as I can and much of what I read is crime fiction and thrillers. These days, with two young children and lots of writing to do, I don’t read quite as much as I used to but I still read every day and miss it if I don’t. My all time favourite is and will probably always be Raymond Chandler’s The Long Goodbye. Yes. Lots! But probably the reason I wish I’d written them is that I know they’re books I could never have written in the first place. I like to travel (which is a fancy way of saying I like to go on holiday). I love watching movies and catching up with the latest TV shows. And I realize I should put some form of exercise here – I must start to exercise! Ooh, tricky. California, maybe. No, Toronto. No, Amsterdam. I can’t decide! Oh, I ask myself this pretty much every day. Believe me!